For starters, even if it's complicated with your hectic schedule, you need to try your best to stay healthy. Sleeping, eating well, and exercising may seem like a waste of time now, but you need to remain healthy in order to do well in school. And speaking of which, you need to manage your time effectively to keep up with everything you have to do. To that end, you need to create a schedule where you set a timeframe to complete each of your academic duties. It's likely that you're fed up with school at this moment. However, even if you feel tempted by all of the end-of-semestre parties that may be going on, you should prioritize your academics. Once you're done with school, you can enjoy your break. 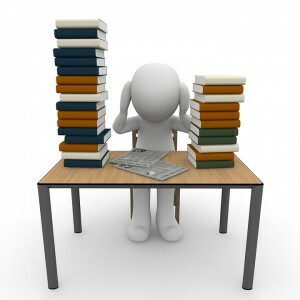 To be a successful student, you need yo make use of effective study methods. Focus on understanding the lessons and adapt to your learning style so you can master your school subjects. Finally, be sure to take breaks when you study. Your brain could get exhausted and you could develop tunnel vision if you work continuously. A short break will give you a chance to relax and keep going effectively. To ace your finals, enroll in tutoring in League City TX. Call The Tutoring Center, League City TX at (281) 337-2800 to learn more about their academic programs, or to schedule a free consultation.